For 29 years, Gary Oxenhandler was a partner in a Mid-Missouri law practice. In his representation of clients in personal injury cases and business disputes, Gary early-on recognized the value of independent third-party guidance in resolving matters fairly and expeditiously. In 2002, when he became a Circuit Court Judge, Gary carried that same philosophy to the Bench, encouraging and, if necessary, ordering litigants to participate in alternative dispute resolution protocols. In 2007, Gary created and then presided over an innovative domestic relation’s settlement conference docket. The purpose of the docket, like mediation, was to give disputing parties an opportunity to have a frank and open forum before an independent judge whose sole purpose was to guide the parties to a resolution of their disputes. By all accounts, the alternative court was highly successful. From 2007 until Gary’s retirement from the Bench in 2016, Gary conducted nearly 2,500 settlement conferences. Further, while on the Bench, Gary Oxenhandler presided over some 225 jury trials. 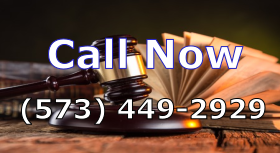 Those trials ranged from business disputes to personal injury matters involving automobile collisions, slip and falls, products liability and medical malpractice to the most serious felonies. Along with his jury trials, Gary presided over hundreds of judge-tried cases and conducted thousands of hearings. In 2015, Gary completed the Missouri Supreme Court Rule 17 Mediation Training for Civil Cases. It is with these experiences and his desire to help parties reached fair and informed settlements that Gary offers his services as a Mediator. He serves as a Mediator through OxenhandlerLaw as well as a panel member for Aequitas Alternative Dispute Resolution. “Judge Oxenhandler’s impeccable reputation as an intelligent, fair and thorough judge is probably why the Missouri Supreme Court chose him to hear . . . “ Woodworth’s evidence. St. Louis Post Dispatch. 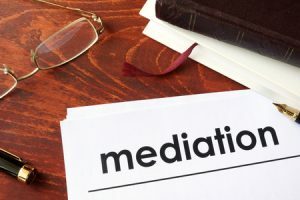 Do you need legal representation for a mediation? Please call us right away. Please call (573) 449-2929. Are you looking for a skilled mediator to help solve a conflict between two parties? Gary Oxenhandler, our in-house mediator, has had a 43 year legal career that includes 14 years as a judge on the Division II bench of the 13th Judicial Circuit. Please call (573) 449-2929 to arrange for Gary to help.